Exercise for the back with a roller. Fukutsuji’s method. Japanese exercise for the back with a roller. The simple but effective technique of Dr. Fukutsuji will give you a noble bearing. The modern rhythm of life sets new conditions. Previously, man had to move a lot to survive. Today, there is no such need. In addition, we began to walk a little, preferring to drive by transport. Sedentary lifestyle and, of course, overweight are the main causes of problems with the spine. But it is the spine — the main supporting element, the axis that holds the whole body. The problems of the spine were handled by a Japanese doctor Fukutsuji. More than ten years ago he invented a really beautiful exercise. The purpose of which is to stretch the spine. Achieve gradual restoration of the initial parameters of growth and waist circumference. And also, to eliminate the problems associated with improper arrangement of internal organs. Initially, exercise with a roller under the back was recommended to perform to correct posture. Also for strengthening the spine. But patients noticed a decrease in the waistline after the first sessions. Extra centimeters in the abdomen often appear not only because of fat deposits. And an exercise for the back with a roller — this really gives an excellent result. The technique works and collects more and more fans with its simplicity and accessibility. Dr. Fukutsuji wrote a book about his method, which immediately became an absolute best seller in many countries. And it’s not surprising. In it, he argues that to achieve the result you need only a large-sized towel, thread and only five minutes daily. • And of course, 5 minutes for this exercise per day. Before the start of the exercise, measure your parameters (waist and height). If you do everything right, after 2-3 weeks you will be very surprised. Take a normal medium sized cotton towel. Twist it into a tight roller, tightly tied with a rope or tape. Do an exercise on a soft sofa or bed you can not. Required only on a hard surface. Sit on the floor, straight legs stretch out in front of you. 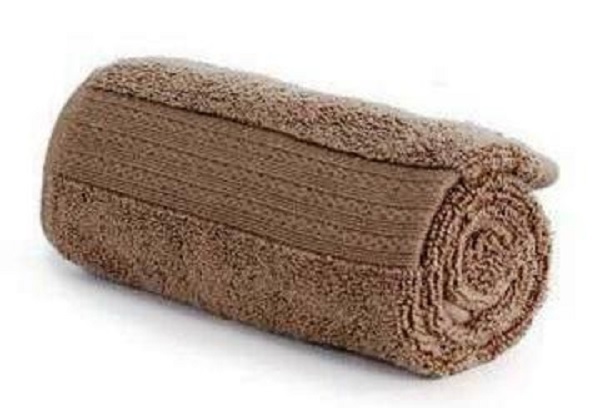 Roll the towel behind your back. Gradually, lower your back on the roller, holding it with your hands, so that it does not move. Make sure that the cushion is perpendicular to the spine, strictly under the navel. Legs spread apart shoulder width. Do not tear off the heels from the fulcrum, set them so that only the thumbs touch each other. Pull your hands out from behind your head with your hands, the little fingers touch each other. Legs slightly dilute to the width of the shoulders and make stops, so that the heels are separate. And the thumbs touched each other. The main rule of the exercise for the back with the roller is the little fingers together! If at first the elbows can not be kept straightened, make sure that the little fingers of the hands keep the touch. Relax and hold the body for 5 minutes. At this time, your spine will begin to take a natural shape. You should be prepared for the fact that this process can be very unpleasant. You can withstand at first one minute. The next day, try to achieve a two-minute result. And then continue until the desired 5 minutes. After all, this technique stretches provides five-minute daily (!) Exercise. Do not overdo it. Practical experiments of the doctor from Japan proved the effectiveness of the five-minute procedure. Also, you can not skip the exercises. This can adversely affect the effectiveness of the methodology. At the end of the exercise, slowly roll over on your side. Lie down a few more minutes. Until you feel that you are ready to get up. Do not hurry. get up slowly and smoothly. Complicated? Of course not! However, remember that a pronounced effect you can observe only on condition of regular execution. There is a statement that the Japanese exercise for the back with a roller of a towel under the waist can be used for weight loss. In fact, this is not so. Gymnastics Fukutsuji helps to correct posture. Slightly increase the height and make the waist already. Yes, visually you will become slimmer. But the weight does not decrease this gymnastics. Achieve sustainable weight loss can only be an integrated approach. Correctly eating and regularly doing physical exercises. If done correctly, you return the natural bends to the spine. Get rid of stoop and muscle clamps. Who can not do the exercise? Despite seeming harmless, the gymnastics of Dr. Fukutsuji is very effective. So, it has contraindications. The Japanese technique of Dr. Fukutsuji is able to bring the figure in full order. Take only 5 minutes a day to your body. The result will not take long. You will again get a healthy spine. And well-being will improve many times. It remains only to start and see the result.